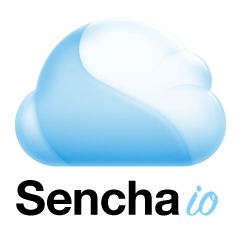 Sencha.io Data lets a mobile application store data on a mobile device and then sync it with the cloud, if available. This means that other users with access to that data will also be able to see and make changes to that data. Sencha.io Messages allows mobile applications to send one-to-one or one-to-many messages. Sencha.io Login handles registration and authentication to protect data. Sencha.io Deployment is a service to allow deployment of mobile applications to the sencha.io domain. Developers can register at http://developer.sencha.io to create teams and download the SDK. Sencha.io offers similar services to Strobe, StackMob and Parse, but given that the Sencha Touch mobile application development framework has been available for some time and that Sencha has announced $15 million of funding, this may just propel Sencha to the forefront of HTML5 mobile development.